The roast goose in honour of the patron saint Saint Martin has a tradition in Germany, a tradition that the Baum family continues in their restaurant Templo del Vino in Puerto de la Cruz in Tenerife. You can choose between breast of goose or leg of goose, or if you wish, even a complete goose for the whole family. 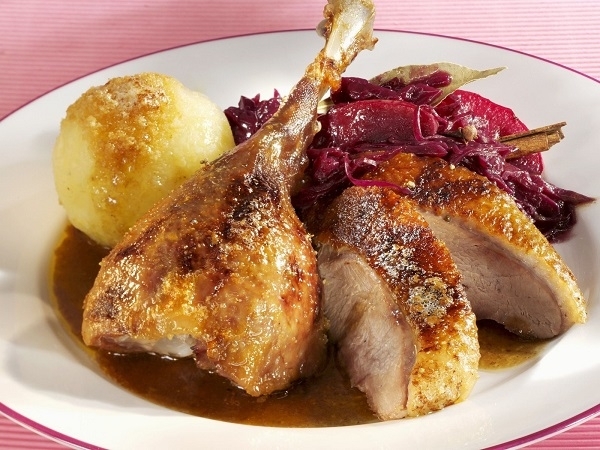 It is a really hearty meal with red cabbage and dumplings, as it tastes best according to German tradition. If you are really hungry now, you should definitely reserve your table in good time by calling 922 38 41 64. The restaurant Templo del Vino is located in Calle El Lomo, in the charming old town of Puerto de la Cruz. Produced with news.CMS in 0,1081 seconds.